Having been forced to separate, Schuyler travels to Alexandria to search for Catherine of Siena and the Gate of Promise. But Schuyler quickly discovers that everything she believed about the Gate to be wrong. Meanwhile, Jack makes the difficult decision to return to New York to face his twin and former bondmate, Mimi. But instead of a bitter reunion, he is faced with a choice for which there is no good option. Mimi, with a most unexpected travel companion in Oliver Hazard-Perry, jets off to Egypt, too, to search for Kingsley Martin, her long lost love. With all roads leading to Hell, Mimi learns that not all love stories have happy endings. But she'll have to put her own feelings aside if she's going to save her crumbling Coven. 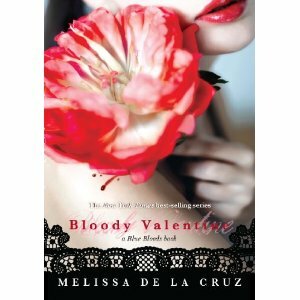 Read a REVIEW of Bloody Valentine - three tales which center on characters of Melissa's young adult Blue Bloods series and highlight the romance and perils these immortals face. * Melissa is offering a signed copy of Lost In Time to one lucky reader. * Leave a comment about this post for a chance to win. * Contest is open to US and Canadian residents. Reading and Signing Lost in Time! Smart Chicks Tour! Author panels and signing! Smart Chicks Tour! Reading and signing Lost in Time! Thanks for the giveaway. I've been wanting to get into this series. Favorite series of all time. Thanks for this awesome giveaway!! sorry made a mistake in the email address. Awesome book trailer, can't wait! Thanks for the chance!! Ive really been looking forward to this release. I'm sad to say I haven't read anything in this series yet, but I love the nuggets of history Melissa is using for her plot and would love to win a copy. Thanks for the giveaway op! 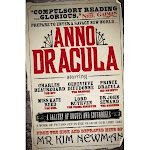 Would love to win this book..I feel with each book the story gets better and better. I can't wait to read what happens next..